Cooks white or brown rice to perfection, then keeps it serving hot for hours. Digital push button controls include a separate setting for brown rice. 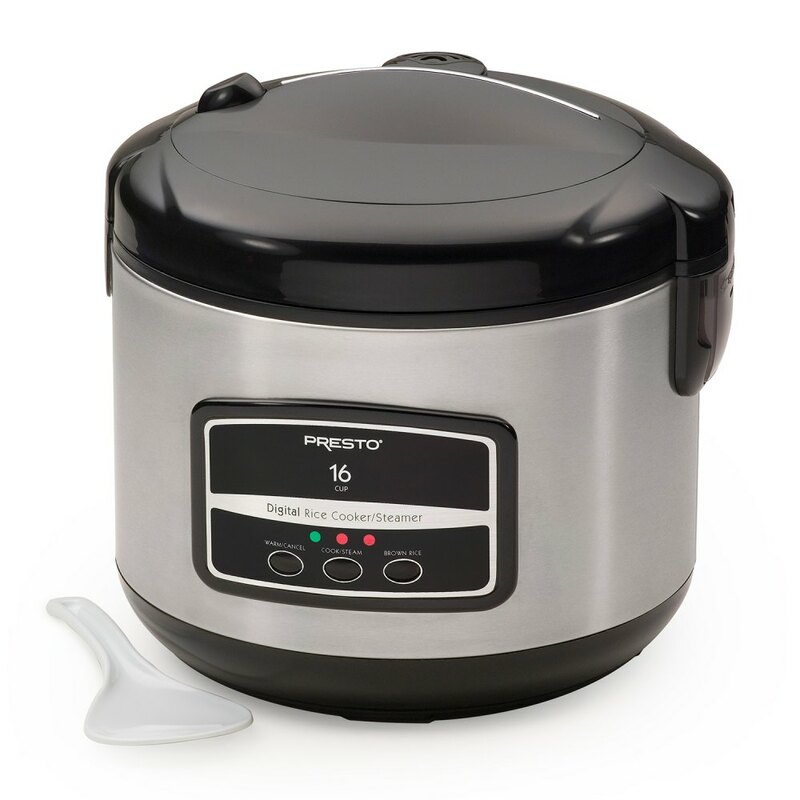 Cooks up to 16 cups of rice and keeps it serving hot automatically. Indicator lights show cook functions for white and brown rice plus keep-warm mode.